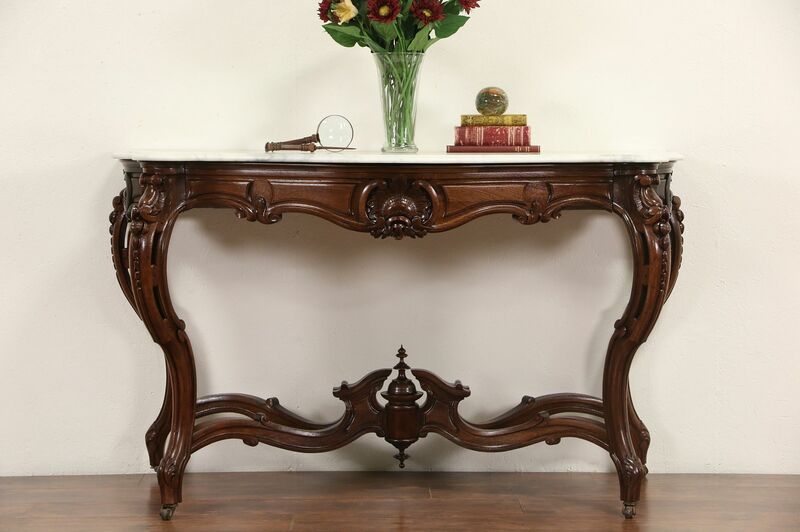 A palatial 1870's hall console table was hand carved of solid genuine rosewood in France with shell motifs. The deeply sculpted base is graceful, the drawer and frame show hand cut dovetail joinery. The restored finish is in superb condition on this luxurious antique furniture from France. The shaped marble is undamaged, polished and sealed for protection. Measurements are 62" wide, 30" deep and 37" tall.